Another Nokia Android-powered smartphone is in the works. Along with the Nokia 6, the recent passing of HMD Global’s China Compulsory Certification revealed the device you are seeing above. The Nokia E1. 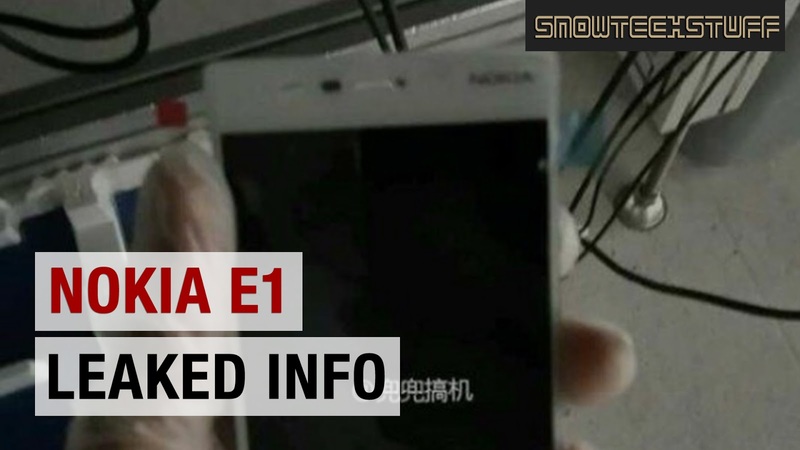 Nokia E1 tends to be the entry-level Android-powered smartphone that is expected to be released as early as this year. And to be straight and short, these are the leaked specs you’ve been waiting for. However, there is still no details for pricing as of this moment. We will stay tuned about for more details and the release of the phones that HMD Global are set to release, including the possibility of unveiling these devices at the upcoming MWC (Mobile World Congress) this year, on Barcelona. So, you also stay tuned.